In the mid-1800s, California was still part of Mexico. Most of the people who lived there were Mexican or Spanish. 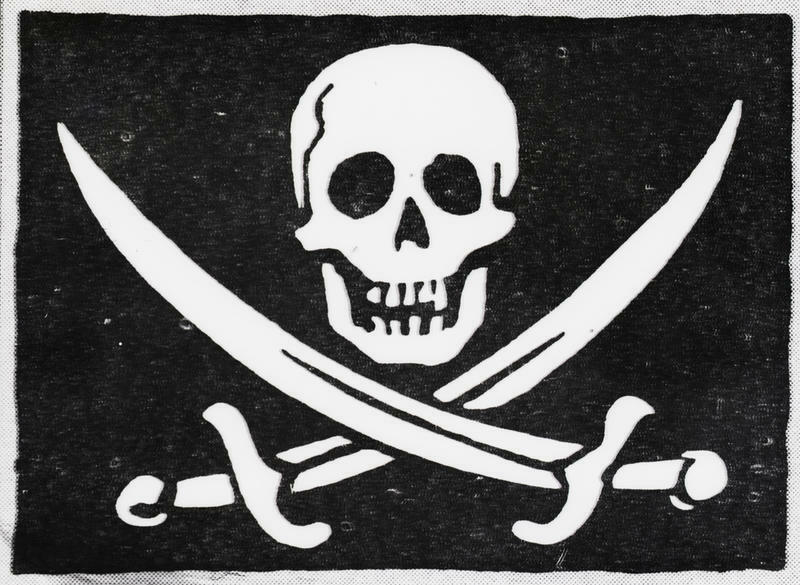 There were a few others who settled there, one of them, a Swiss, Captain John Sutter. He was granted an estate by the Mexican government. Sutter built a fort and it became a stopping place for those traveling to California. He also built a sawmill to provide lumber for a growing community. During the construction of the mill, a man named James Marshall was checking an issue with a part and saw something shiny at the bottom of a ditch. It was a gold nugget! Captain Sutter tried to keep it a secret in order to get as much gold as he could, but it didn’t stay secret for long! Gold Rushers coming from the east had a choice to make. They could either book passage on a ship that sailed around Cape Horn or try the arduous journey through the mountains. 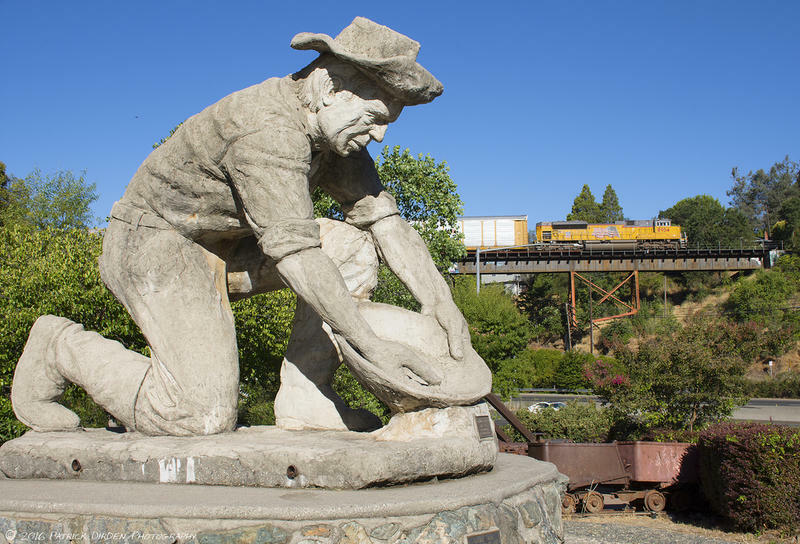 In 1848, there were already over 4,000 miners in California. 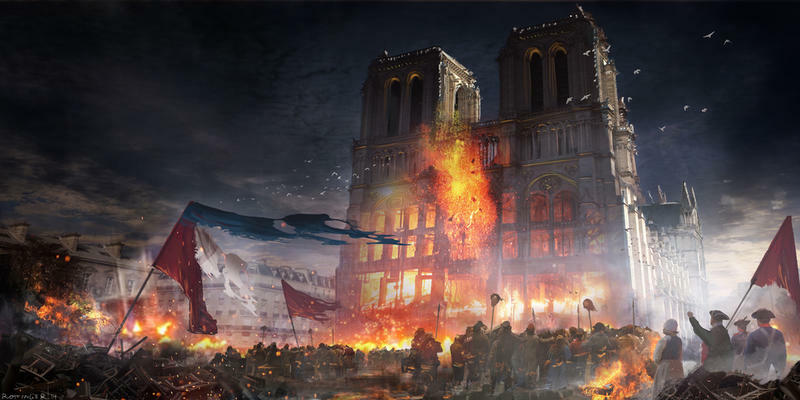 Within a year, this number grew to 80,000. 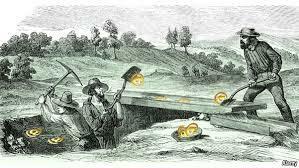 The gold seekers were called ‘Forty-Niners’. In just another three years, the “Forty-Niners” increased to nearly 250,000! So many '49ers were arriving every day to California and as a result, many mining towns sprung up to accommodate their needs. Not everyone who went to California wanted to mine for gold. They wanted to make their fortune off of the gold seekers by opening up shops, saloons, and other businesses. 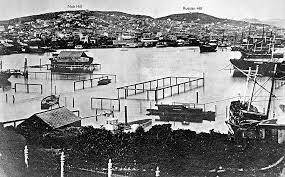 Mining camps and the small towns were chaotic and there was a lot of theft, prostitution, and violence. San Francisco became the central city in California. For the number of people searching for gold, very few actually “Struck It Rich.” It was very dangerous and difficult labor and one needed a lot of luck as well as strength. At the beginning of the Rush, almost anyone could find gold. One would just have to dig down into a placer and wash away the ‘Pay Dirt’ to reveal the gold. Anyone could dig for gold. There were no taxes on what the miners dug up. Everyone was working for themselves, at the beginning at least. 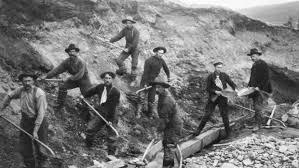 Although digging for gold was exhausting work, word of those finding the ‘Mother Lode’ kept people going. 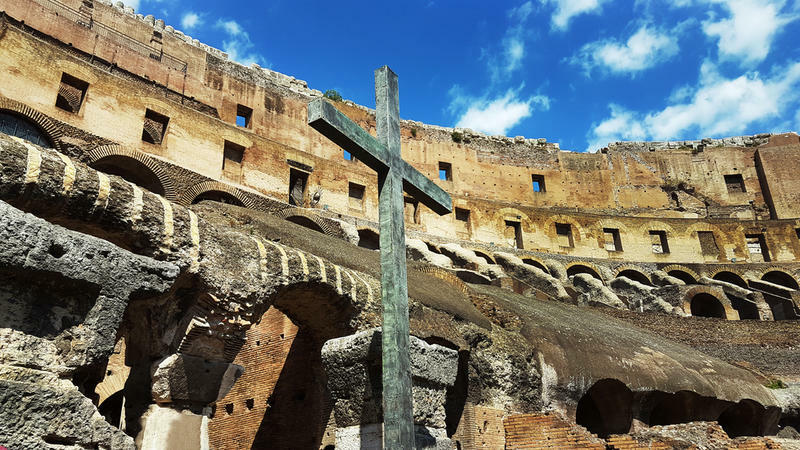 As mining went on, and gold became more scarce, people invented faster and more destructive ways to mine. They ruined the land and water was poisoned with chemicals. Forests were leveled. The peak of gold strikes happened in 1853. Every year after, less gold was found. Thousands of fortune seekers returned home with nothing to show. 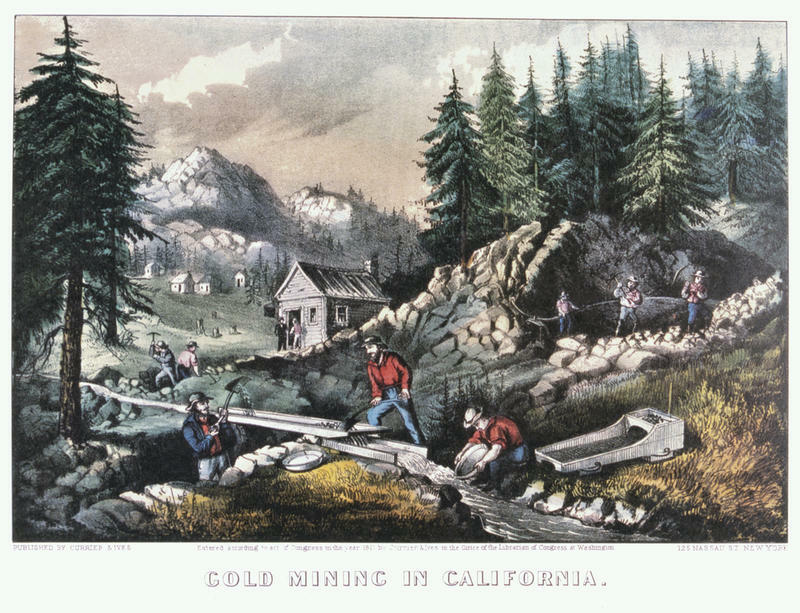 It is estimated that over two billion dollars’ worth of gold was found in California, however, very few of the miners struck it rich. While many of the unsuccessful miners returned home, some of them decided that California wasn’t so bad. They sent for their families and set up farms. The land and climate were wonderful for growing crops. 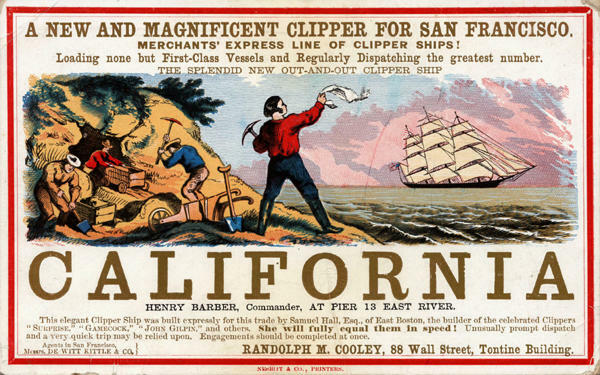 The Gold Rush completely changed the course of California. There was a lot of diversity from all of the immigrants. There was tremendous wealth from those who made money off mining and also businesses, even farming was quite lucrative. 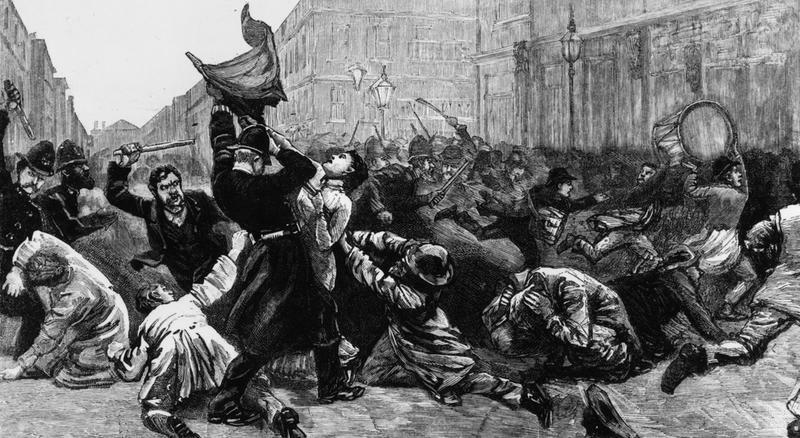 California achieved statehood in 1850, way earlier than it would have without the gold rush.